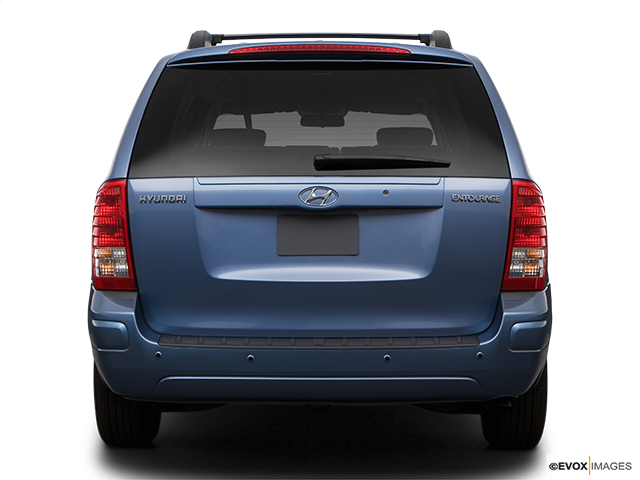 Whether you are looking for a weekend getaway minivan or an urban semi-workhorse, the Hyundai Entourage is a more-than-promising fit. 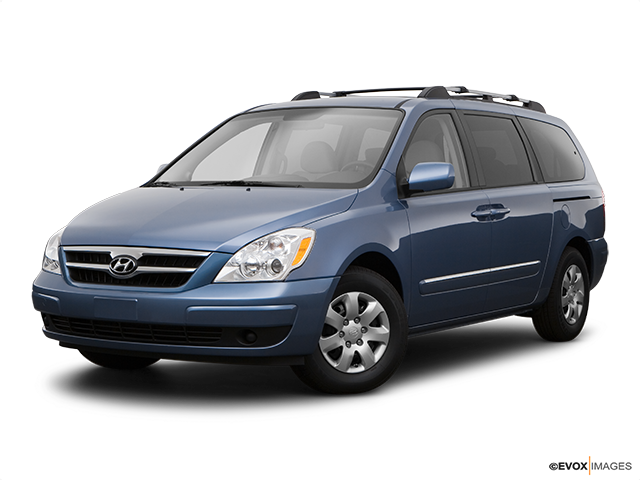 The Hyundai Entourage is the largest vehicle in the diverse portfolio of the company. On paper, it looks like the ideal vehicle for both weekend getaways with the kids and hauling weight back from the hardware store. Either way, its durability, practicality and overall usability prove to be more than real. You should seriously consider this minivan if you’re in the market for a new daily driver in that class. Here’s a closer look. Is It As Practical As Advertised? Practicality is one of the biggest selling points of the Entourage, and the vehicle has loads of it. Thanks to some clever engineering, you’re able to pack several aircraft-style suitcases, a large gym bag, a bag filled with baby necessities and a full-sized stroller in the back quite comfortably. 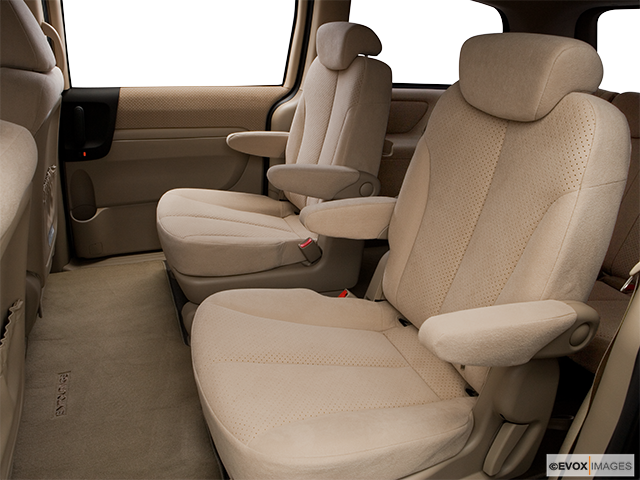 All that without having to pack anything around the passengers. Speaking of smart engineering, you’ll also be happy to know that both the tailgate and sliding doors are powered, just like the rear-vent windows. What Kind Of Standard Features Can You Expect? Simply put, your Entourage will arrive loaded to the roof with usable and nifty features. 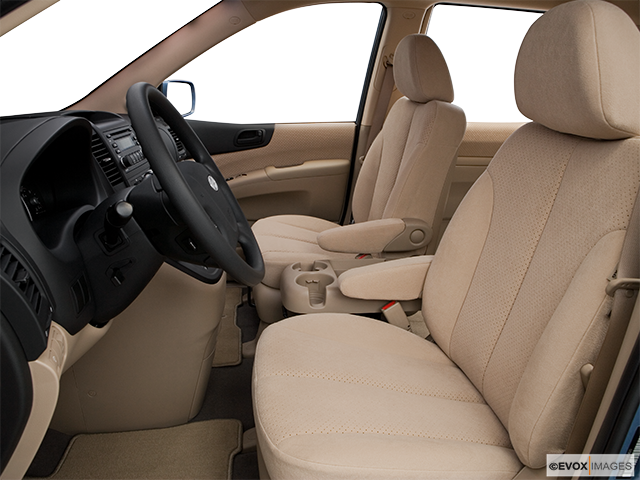 Among the standard bells and whistles to be expected are a power driver’s seat, a leather interior, front and rear AC, power windows, mirrors, and locks, steering wheel-mounted cruise functions, as well as an AM/FM/CD/cassette/MP3 stereo with six speakers. You’ll even get a flip-up tray between the front seats, and a reverse sensing system designed to warn you of anything in the van’s path when backing into a parking spot. You can expect to get a spirited performance across a broad range even when you load your Entourage to full capacity. This is thanks to a 3.8-litre DOHC V6 that puts out 242 horsepower at 6,000 rpm. Paired with a 5-speed automatic transmission (with a Shiftronic manual mode), it generates 251 lb.-ft. of torque at 3,500 rpm. The engine is quiet and smooth at all speeds and will use up to 10.9 litres of fuel per 100 kilometres. With all the aforementioned features, your Entourage will have enough authority to provide both great launchings in first gear and leisurely cruising in fifth. Without being too obvious with the answer, let’s just recall everything the Entourage provides: surprisingly good mileage, willing performance, above-average ride comfort, as well as a ton of room. And you get all that at a commanding price that puts the value-for-money, way ahead of any competition you might be considering. 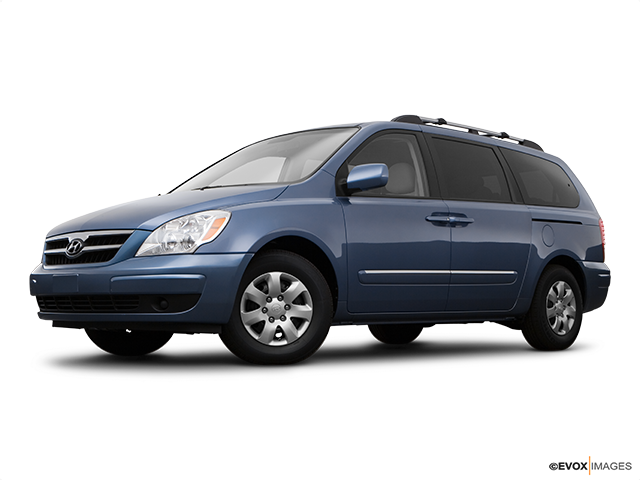 If you’re in the market for an affordable and reliable minivan, the Hyundai Entourage is THE way to go.